Maybe Trine was really the friends we made along the way. Coming out later in 2019, Trine 4: The Nightmare Prince marks the first game in the series since 2015, making it almost four years since fans last got to join the wizard, the knight, and the thief in the trademark Trine fantasy world. And it may have a lot to prove for some fans, as the shift to a full 3D perspective in Trine 3 proved to be divisive. However, with a return to 2.5D that the series is famous for, Trine 4 may be just the thing to get fans back on board. While Tine 4 is described as a return to the series’ roots (the change “felt like home,” one of the devs told me), it’s not just going to be an old-school affair. New features, including four-player co-op, have been designed to lure in both newcomers and series veterans. I got to check out a preview of Trine 4 recently, and things definitely seem to be as magical as ever. Of course, Trine 4 features the same trio that have starred in the series since the beginning: Amadeus the wizard, Pontius the knight, and Zoya the thief. Each have their own skills, and the only way to save the day is by utilizing each of the heroes’ unique traits, whether it be solo or in co-op multiplayer. Though the heroes are the same, this new situation calls for them to have a few new tricks up their sleeve. While I naturally didn’t get a full scope of what Trine 4 has to offer in this very limited preview, I did get an idea of what even series veterans can find fresh. For example, Zoya can now shoot ropes from her trusty bow, which can serve many beneficial purposes. The standard use would be to use as a bridge of sorts for those gaps that are just too wide to jump across. However, there are also many situations where you can, say, use it to move a pesky obstacle out of your way. She also has different arrows that serve other functions, as well. Fire arrows and ice arrows will work wonders against certain elemental enemies. Elemental arrows are stronger against certain elemental enemies. 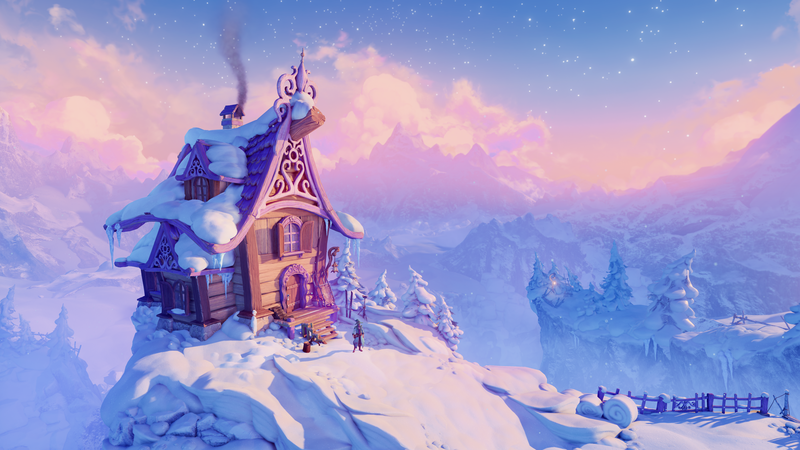 That’s just one of the examples of how the team at Frozenbyte are attempting to build upon prior games to make Trine 4 a bigger, better experience. One new addition affects all three characters, and allows them to ride any round object in the environment for quick (and possibly deadly) traversal. The demo included giant pumpkins, but there are plenty of other objects that can be turned into your personal caddy in this world. You may even run over an enemy or two while doing so. The subtitle The Nightmare Prince doesn’t have some abstract meaning. It’s quite literal, as the main danger in Trine 4 is the titular prince. A prince who, for reasons still unknown, has the terrifying ability to bring anyone’s nightmares to life. As our heroes chase the prince (whose true motives weren’t revealed, though he looks to be a sympathetic character), they’ll have to face the ramifications of his strange ability. You’ll meet plenty of friendly faces on your journey, though they are haunted by the living embodiments of their nightmares. These factor into another new mechanic in Trine 4, nightmare levels. These are somewhat akin to beat-em-ups, as these areas are closed off, and you cannot progress until you take down every enemy. These new sections also create new platforms, letting you conjure up a multitude of ways to take down these nightmarish creatures. My preview of Trine 4 ended with our heroes finally catching up with the prince, though not for long. His anxieties over the whole ordeal manifested into a fearsome creature with a few too many teeth. The demo ended right before the action could begin, but you can bet it will require plenty of coordination, and mastery of every characters’ abilities. One of big selling points of Trine 4 is the all-new four-player co-op. Now, you may be asking yourself, “but aren’t there only three characters?” And you’d be correct. While the classic campaign mode is limited to three characters, the Unlimited Mode allows up to four characters to buddy up. Perhaps even more excitingly, it allows all kinds of combinations of characters. Instead of each character being restricted to one character (though players can switch between characters), you can have have four wizards, two thieves joining a knight and wizard, or whatever combination your heart desires. 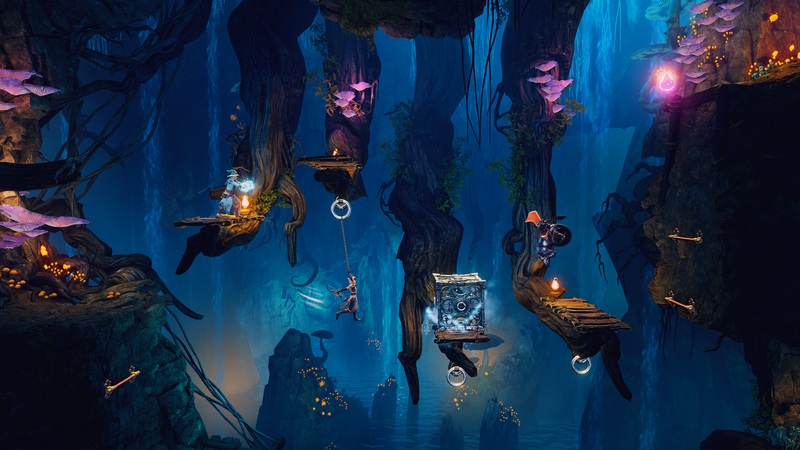 A big part of the Trine series are the various puzzles you encounter on your journey. Even the boss fights involve a bit of puzzle-solving (one I saw involved reflecting beams of light to weaken the boss to a damageable state). However, much consideration was put in when designing these puzzles. They are just as solvable solo as they are with friends. Though there are solutions no matter how many adventurers, the way to get to them can vary wildly depending on how many of you there are. The solution to the puzzle may be easier when with friends, but you’re not hindered by your choice to adventure by yourself. You’ll be able to switch between any of the three characters on a whim, giving you plenty of options to move onward. A puzzle involving, say moving yourself up to the next level may be more cut-and-dry with two or more friends, but if you’re crafty enough, even a single hero can solve these mind-twisting puzzles. Co-op will be both online and local, meaning you won’t have to be in the same room as your friends to go on this journey together. Despite being the fourth entry in the long-running series, you don’t have to be a Trine veteran to get on-board with The Nightmare Prince. Trine 4 was designed as a completely standalone story, though it obviously continues with threads present throughout the series. It does feature the same characters throughout, after all. The expanded multiplayer options alone could be a selling point for new fans of the series. 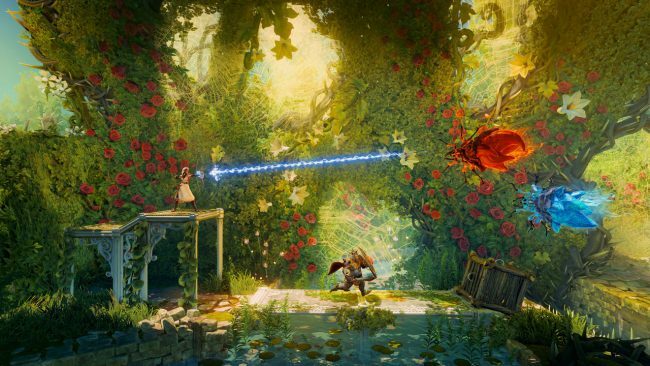 However, while Trine 4 stands on its own, it will offer plenty for longstanding fans to dig into. Trine 4: The Nightmare Prince will have a greater focus on the narrative than before. The heroes themselves will have a greater spotlight shining on them, and we’ll learn more about what makes them tick this time around. It may be the perfect game to hook those who haven’t managed to journey into Trine’s world yet. Trine 4 looks to be just the thing to court old fans of the series, while doing enough to bring in newcomers as well. We’ll see how it all shakes out when Trine 4: The Nightmare Prince releases in fall 2019 for the PlayStation 4, Xbox One, Nintendo Switch, and PC.